Astringency is a tasting term used for wine, tea, and other consumable substances. It refers to the puckery or drying sensation created in the mouth and throat (primarily on the surface of the tongue). A strong astringent taste is often described as "sharp," and it can leave the mouth (especially the walls of the mouth) feeling rough, raw, or sandpapery. A low to moderate amount of astringency may have a more subtle, even "slippery" feel. The sensation of astringency is one type of mouthfeel, just as the cooling feeling on the tongue and in the throat caused by mint is a mouthfeel. Astringency is caused by tannins, which are naturally occurring in tea, coffee, red wine, and some types of fruit and herbs. 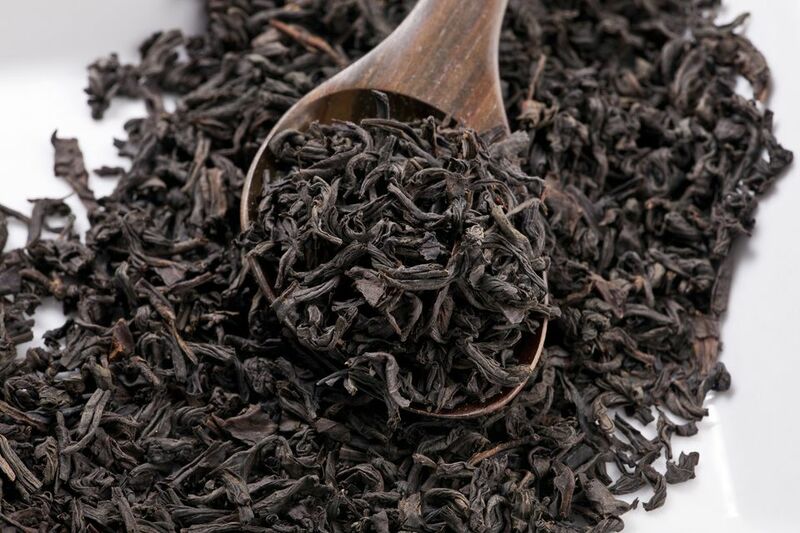 Black teas are typically higher in tannins than other tea types, and are thus more astringent. Green teas and other tea types can also be astringent. The physical sensation of astringency is caused when tannins shrink mucous membranes in the mouth and throat. Which Foods and Drinks Are Astringent? Many foods and drinks are recognizable as astringent once you know what you are looking for. To better understand what astringency is, taste some of these foods. In America and many other Western cultures, bitterness and astringency are often confused with one another. Many people cannot distinguish between the two, even though bitterness is primarily a taste and astringency is primarily a mouthfeel. In Ayurveda, astringency is one of the six core tastes. The others are sweet, sour, bitter (which is distinct from "astringent"), salty and pungent. In Japanese culture, a clear distinction is also made between bitter and astringent. Astringency in Japanese tea tasting is sometimes described as "a pleasing bitterness". In wine culture, many people have rejected the idea of astringency as a "taste," saying that it is a "mouthfeel" instead. In certain teas, a little astringency is desirable. In Western tea cupping, it is associated with briskness. In Chinese tea tasting, there is some overlap between astringency and bitterness, and there are three kinds of astringency/bitterness. Causing the contraction of skin cells and other body tissues (as witch hazel does to the pores). Sharp or severe in manner or style (as of a person who is stern, acerbic or austere). Medical astringents are often used to stop or slow bleeding and to help wounds heal. Examples of this include yarrow tincture and calamine lotion.